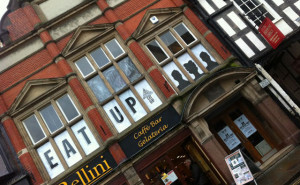 Shrewsbury’s getting all foodie and beery! YAY! If you’re in the Midlands you might know that Ludlow’s established itself as something of a foodie destination in Shropshire. But there’s another town fast on its heels: Shrewsbury!!!!!!!! And lush restaurant Eat Up Shrewsbury has asked me to host a beer-and-food matching dinner with them next Thursday 25th April. Listen up, Men…You can come too!!!!!!!! I’m very excited as I do believe this is a FIRST of many for me – a mixed audience beer-and-food matching event. Local bastions of Shropshire beer: Three Tuns, Stonehouse and Salopian will be on the menu too during the night alongside delights from Eat Up’s new menu. So what are you waiting for? Go buy your ticket! Tickets are £20 each (over 18s only). This price includes tasting-sized samples of 5 beers & small tasting plates of food. Admission is by ticket only. Hurry, as space is limited! 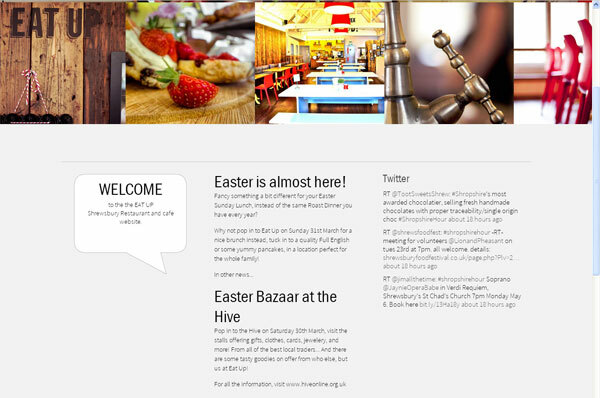 Shrewsbury’s also hosting a fab food fest at the end of June, and Eat Up will be involved so check that out too!